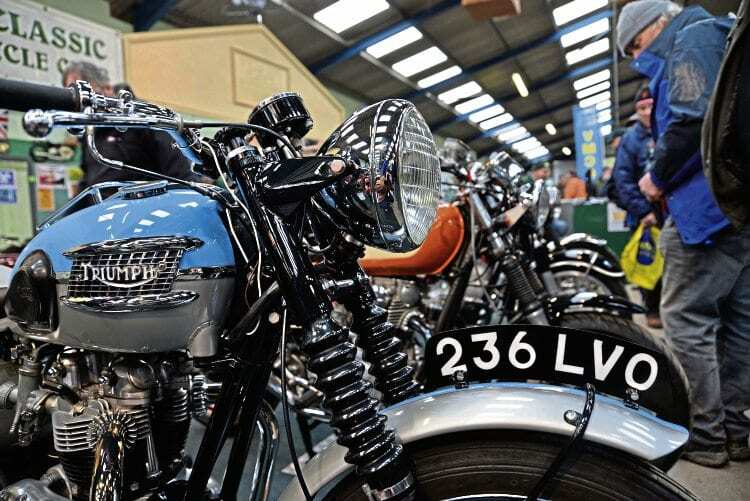 Large crowds, a superb entry of classic bikes, some highly creative club stands and a fascinating Charterhouse auction confirmed the ‘Best in the West’ reputation of the 38th Bristol Classic MotorCycle Show at the Royal Bath & West Showground over the weekend of February 3-4. Members of the region’s motorcycle clubs have long been renowned for their imaginative club stands, but this year it was the Wells Classic Motorcycle Club’s shop-front theme that ensured first prize in the club stand competition, with New Imperial and Gold Star coming second and third respectively. Glittering classics like these made the 38th Carole Nash Bristol Classic MotorCycle Show one to remember. was on display at the National Motorcycle Museum until it became a casualty of the devastating blaze there in 2003. After being dragged from the ashes it was passed to top restorer John Phyzacklea, who painstakingly rebuilt it to its present condition. 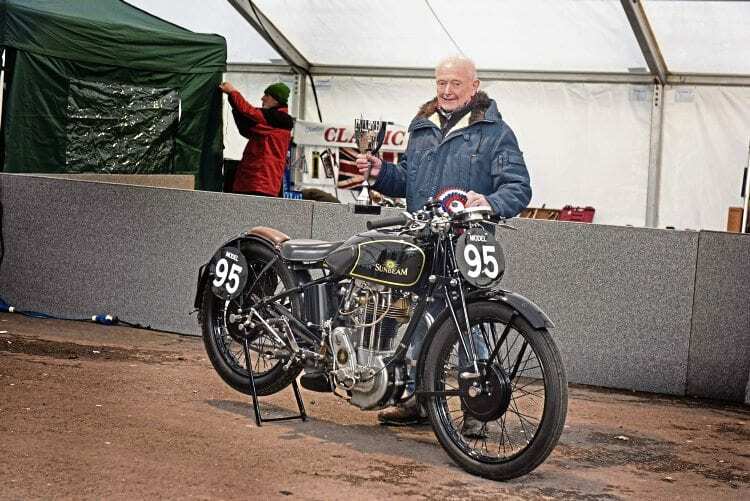 Tony Pashley looks well pleased with the Best in Show Trophy for the 1934 Model 95 Sunbeam that rose from the ashes of the 2003 National Motorcycle Museum fire. Since that amazing restoration, it has been showcased at numerous events and has won several awards including best road racing bike and best pre-war bike. The stand of show sponsor Carole Nash was buzzing all weekend, and event organiser Nick Mowbray reported good feedback from visitors and traders alike. Previous Post:Bent and battered, but still going strong: every picture tells a story!